Home > Over 100,000 unique visitors a month! Over 100,000 unique visitors a month! I’m pleased to announce that A Luxury Travel Blog passed 100,000 unique visitors a month this evening (with one day of the month still to go!). Traffic to the blog has been steadily growing since I went full time with it at the back end of last year, but had hovered just below the 100,000 mark for the last few months… until now. The final tally for the month will not be known until the end of tomorrow but should finish at somewhere around 130,000 visits, of which approximately 105,000 will be unique visitors. In addition to this milestone, A Luxury Travel Blog now has around 250,000 followers on Twitter and approximately 40,000 ‘likes’ on Facebook. 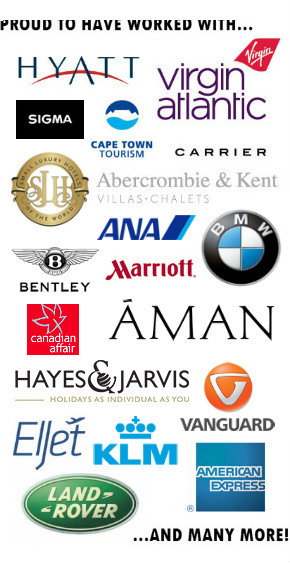 If you are involved in the luxury travel industry and would like to know more about the many ways in which we can help you, please click here to contact us. Well… my estimates on the final figures for the month’s traffic were a little out! One of our stories was picked up on Digg and, at the time of writing, has had more than 600 ‘Diggs’ (a bit like Facebook ‘likes’) which was probably enough to put it on the Digg homepage and account for our surge in traffic. Traffic to the site had been fairly steady for the month, so I confidently predicted 130,000 visits, of which approximately 105,000 would be unique (see post above). As it turned out, and due to the unexpected additional traffic, the final figures for the month were in fact 144,015 visits, of which 118,426 were uniques. Well done – thats a great audience to achieve. I can only aspire to that. What do you use to measure your traffic/audience? Thank you, Jason. We are using Google Analytics. Traffic is continuing to rise nicely at the moment – we are heading for over 120,000 uniques this month. Sensational. My understanding is that Analytics generally under counts visitors too, so ever better. With some of the alternatives out there – particularly the ones that look at your server logs – you can tend to get overcounting because many of them seem to lump humans and bots together, and therefore give a misleading representation of your true visitor numbers.